Bring the holiday magic indoors with the interior lighting and decorating services of Ignite Christmas Lighting. Whether you prefer a bold statement or have a more minimalist approach to décor, our team designs festive displays that capture the essence of the season while tailored to your tastes. From Christmas tree décor to garlands and wreaths and beyond, our decorations make a lasting impression. As Houston’s premier holiday decorating company, Ignite Christmas Lighting offers a full-service approach to interior decorating. We begin with a custom design plan based on your vision for the interior of your home. After the design is finalized, our team of insured professionals installs the interior lighting and decor. 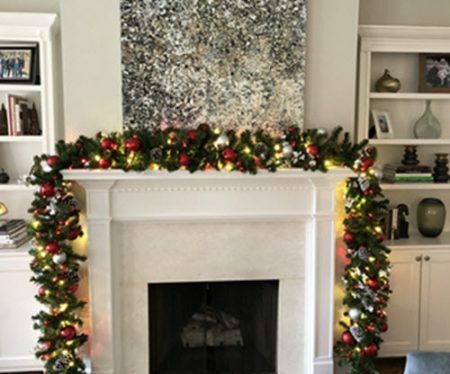 We provide a full warranty on our holiday decor rentals, which means our team will replace or repair any faulty decor or lights at no additional charge. After January 1st, we remove the decor and lighting and store the decorations until next year. 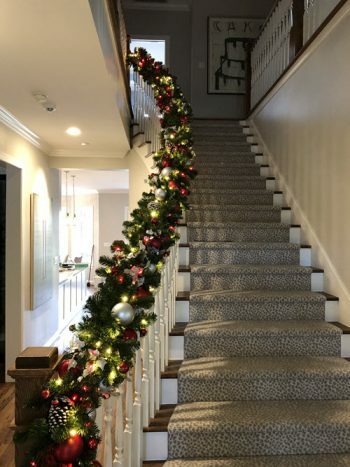 As part of our premier decorating services, we utilize our expansive inventory of beautiful holiday décor to transform your home into a winter wonderland. Our rental decorations include various color schemes and holiday themes to match your unique vision. Some of our most popular rentals and color schemes are listed below.